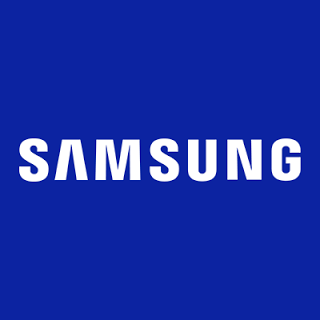 Samsung Electronics Co., Ltd., Worldwide Partner of the International Paralympic Committee (IPC) in the Wireless Communications Equipment category, announced its global Rio 2016 Paralympic Games campaign. This is a continuation of the brand’s Rio 2016 Olympic Games programme, which celebrates how meaningful progress comes from daring to defy barriers. The campaign kicks off with the announcement of several on-the-ground activations, including the transformation of Samsung Galaxy Studios in Rio, the Samsung Paralympic Blogger programme, official application and the Whang Youn Dai Award. In the lead-up to the Paralympic Games, Samsung has revamped its Galaxy Studios in Rio, including its flagship studio in Olympic Park. The revamp includes several accessibility features, ensuring all consumers, athletes and fans are able to take part in a variety of interactive experiences. Wheelchair accessible ramps and lifts enable visitors to reach the Gear VR 4D Experience Zone, where they will experience exhilarating Olympic Sports, roller coaster rides and kayaking through water rapids via Samsung Gear VR, paired with Galaxy mobile devices. ‘Blind Game’ – Visitors will learn how voice assistance works by utilising the feature to play 30-second maze games on Galaxy mobile phones. ‘Sound Detector’ – Through the ‘Sound Detector’ feature on Galaxy mobile devices, visitors will learn how people with hearing disabilities use the sound detector feature to sense the status of audible surroundings, such as a bell ringing or a baby crying. ‘Colour Adjust’ – The graphic interface feature will showcase how ‘Samsung Colour Adjust’ can help people with colour vision deficiency to see vibrant colours. Users will see a series of images on Galaxy mobile devices as someone with colour deficiency would see and will then be able to compare how a world with colours changes the images as they are then displayed with the adjusted colours. ‘Review Your Moment’ – The ‘Review Your Moment’ experience is a demonstration of the ‘Samsung Dexterity Feature’. Visitors will learn how those who have difficulties utilising mobile touch screens with their hands can operate smartphones with head gestures or third party hardware switches. Fans will use a selfie application feature and collect their printed photo following the experience. Samsung will once again partner with the International Paralympic Committee (IPC) to provide 30 Paralympians the opportunity to capture and share their Rio 2016 Paralympic Games experiences with the world. These athletes come from countries including Brazil, the US, Korea, Great Britain, France, Spain, China as well as an athlete from the Independent Paralympic Athletes team. As part of the Samsung Paralympic Blogger team, each of the 30 athletes will receive a Samsung Galaxy S7 and other mobile accessories to create exclusive, behind-the-scenes 360 vlogs, which will be uploaded on various digital platforms including the International Paralympic Committee (IPC) YouTube channel, Samsung channels and the athletes’ social media accounts. Content will allow fans to get a first-hand glimpse of how these Paralympians are defying barriers and showcasing their tremendous athletic abilities on the world stage. Athletes in the Paralympic Village will be able to experience the Samsung Paralympic Bloggers in 360, by visiting a special station and viewing the content through Gear VR headsets paired with Samsung mobile phones. The stations will contain other 360 content from key landmarks in Rio, allowing athletes to see the sites without leaving the Paralympic Village. The official application of Rio 2016, ‘The Rio 2016 App’, developed by Samsung in collaboration with the Rio 2016 Organising Committee, provides athletes, fans and consumers with 24/7 updates on all of the latest Paralympic news. The app, which received more than 6 million downloads during the Rio 2016 Olympic Games period, has been updated to provide the official Paralympic Games schedule, venue and event information, results, medal counts, more real-time updates and information of Samsung’s marketing activities during the Paralympic Games. The Rio 2016 Official Application is available for free download through the Samsung Galaxy Apps, Google Play for Android, App Store for iOS as well as the Windows App Store. In order to further support athletes who are defying barriers, Samsung will once again sponsor the Whang Youn Dai Award, which was established by the IPC to recognise Paralympians who have overcome adversities through sports and inspire and excite the world through the spirit of the Paralympic Games. During the Paralympic Games Closing Ceremony, a Samsung representative will present the award to one male and one female winner as part of a victory medal ceremony.